LA-HAUT - Alps — ANSO. 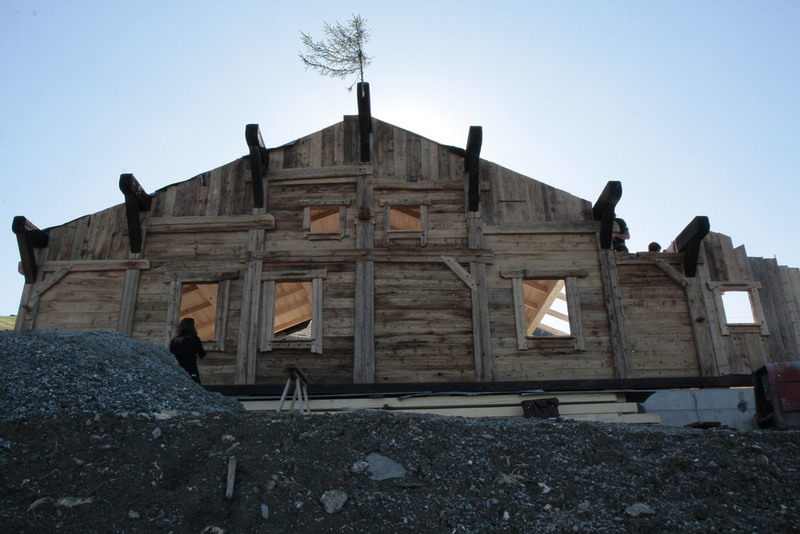 This project relates the restauration of an old french Alps chalet. 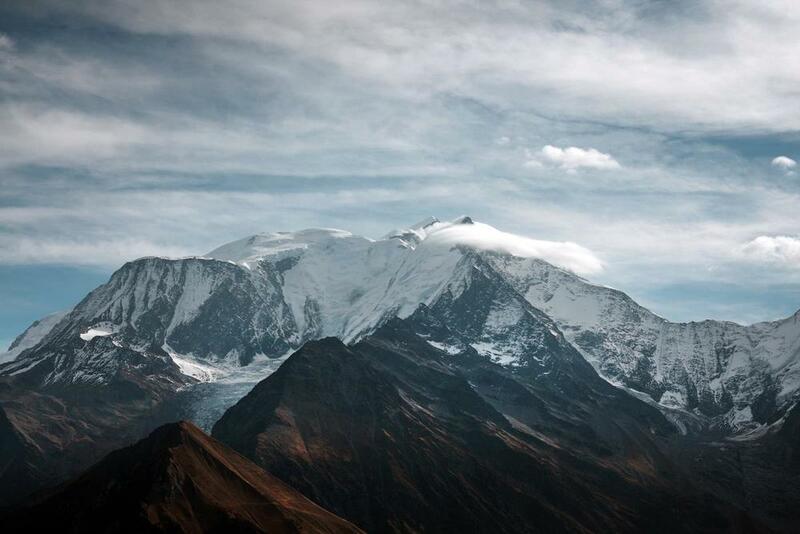 Nestled at 1800 m, surrounded by nothingness, the main asset of the chalet is its breathtaking view on the Mont Blanc. 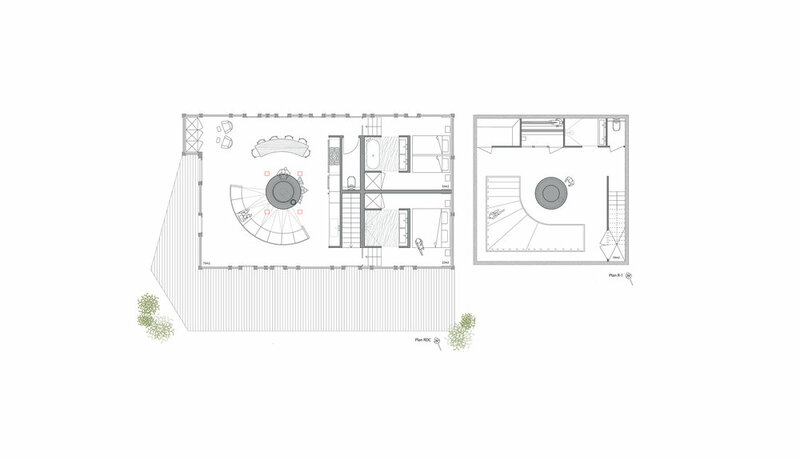 The concept is, for communal living spaces to be centred around a monumental circular fireplace, whilst the private quarters are semi-opened boxes towards the rear of the chalet. This layout gives a real contrast between the open relaxing communal spaces and the privacy of the bedroom/bathroom, sauna/ hammam. The Interior design integrate minerals and woods of the surrounding mountains, all types of essences that the Alps heritage has to offer. White Alps oak will be used in the 'warm' areas, around the fire place, in the bedrooms and sauna. Whereas a mineral granite will be used in the 'wet' areas such as the pool, hammam and the credence-kitchen.